A girl's silver sweater is a wonderfully festive garment that fits in perfectly with the holiday season. When it comes to silver clothing, parents may find the color impractical, but silver is actually a great neutral. A girl can wear a silver sweater, whether it's a cardigan or pullover, with jeans, black slacks or a black skirt, a plaid bottom or other deep colors that fit the season. A young girl may have a preference to the types of sweaters she wears. Some girls like the ease of pullovers, while others enjoy the versatility and classic flavor of cardigans. Girls' silver sweaters are available in both varieties, although it will probably be easier to find them as holiday clothing hits stores. A simple sweater in this sparkly color can instantly dress up an outfit, making it suitable for Christmas pictures or for wearing to holiday programs. Whether you have a girl who prefers skirts to pants, or doesn't care much one way or the other, there are many different ways she can wear her favorite silver sweater and be one fashionable little diva. Pair with skirts: A silver sweater will look fantastic and festive when worn with a velvet skirt, especially in deep colors such as black, violet or red. If the sweater is a cardigan, a crisp white shirt worn beneath it will complete the look, along with a pair of Mary Jane shoes, either in black or silver. A pullover can be worn over a turtleneck for extra warmth, or a collared shirt. Another type of skirt that will look good with a silver sweater is one in a plaid pattern. Plaid is very popular during the holidays; you'll typically find it in blue/green and red/green combos. Wear with slacks: A pair of velvet or plaid slacks, topped with a silver sweater, can be a comfortable, yet still festive, outfit for a girl. She can even wear her sparkling sweater over a pair of jeans; just choose a fun pair of shoes (a red, silver or black pair full of sparkle will look great) to add that extra bit of holiday flair. Over a dress: Once you've chosen the perfect Christmas dress for your little one, why not complete the ensemble with a silver sweater? A silver and black combination is classic and elegant. Black dresses in velvet or taffeta work especially well with silver, but other colors that pair just as stylishly include deep green, violet and red. Accessories: To round out her Christmas outfit, don't forget fun accessories like Christmas tights patterned with a wide variety of holiday prints, scarves, mittens, headbands and hats. You'll probably be more successful finding silver sweaters for girls when holiday clothing moves into retail stores, but you may also want to look into local consignment shops and children's boutiques. 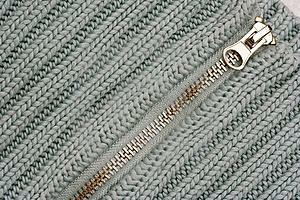 If you're having trouble finding a sweater in the color you want, consider adding embellishments in silver. You don't need to be especially crafty to attach silver ribbon or silver sequins, but if you don't feel comfortable refashioning a garment, ask a skilled friend, family member or take it to a seamstress to see what creative touches she can add. Embellishing a plain black, blue or red sweater with silver touches is a great way to create a unique piece. A girl will still get the sparkle she wants, in a one-of-a-kind way.